A teenager’s 18th birthday is a milestone occasion. It’s symbolically the time where the transformation from youngster to young adult takes place. 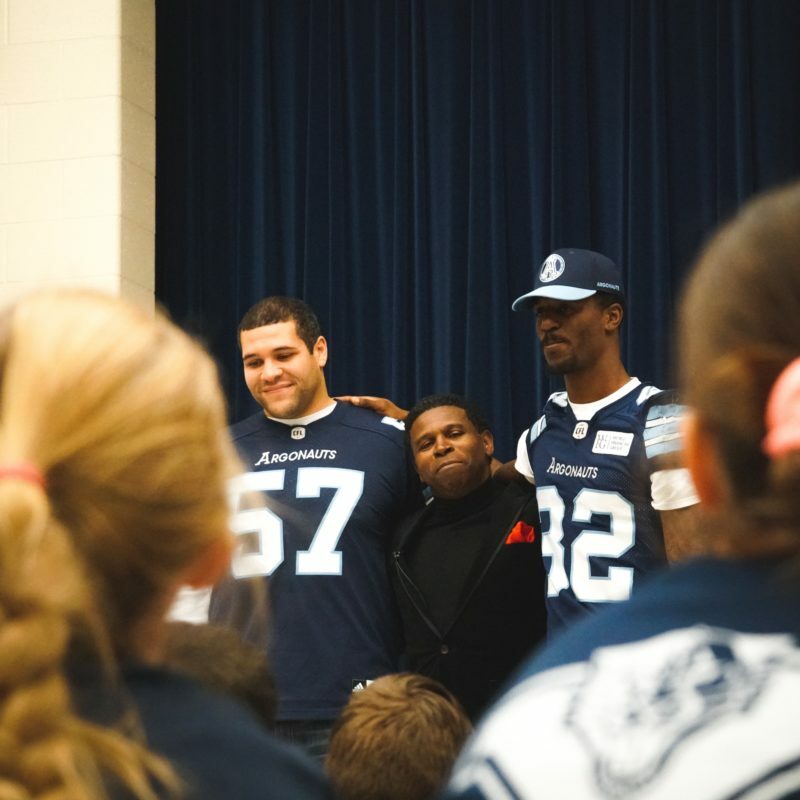 For the Toronto Argonauts ‘Huddle Up’ bullying prevention program, its adolescent days are now officially in the rearview mirror. On Thursday the program celebrated its 18th birthday with a trip to the west end of Toronto. 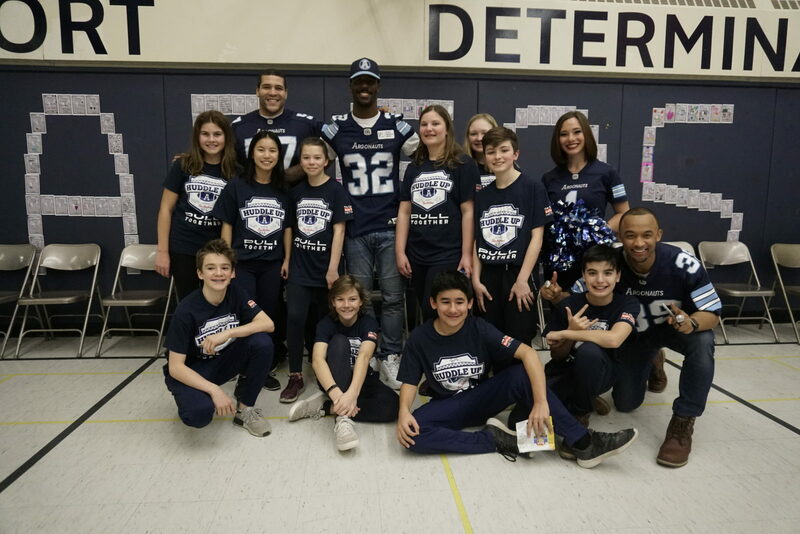 Huddle Up has preached its message to over 600,000 GTA kids – a remarkable figure by any standard – and held its first stop of 2019 at St. Pius X Catholic School near the corner of Jane and Bloor. 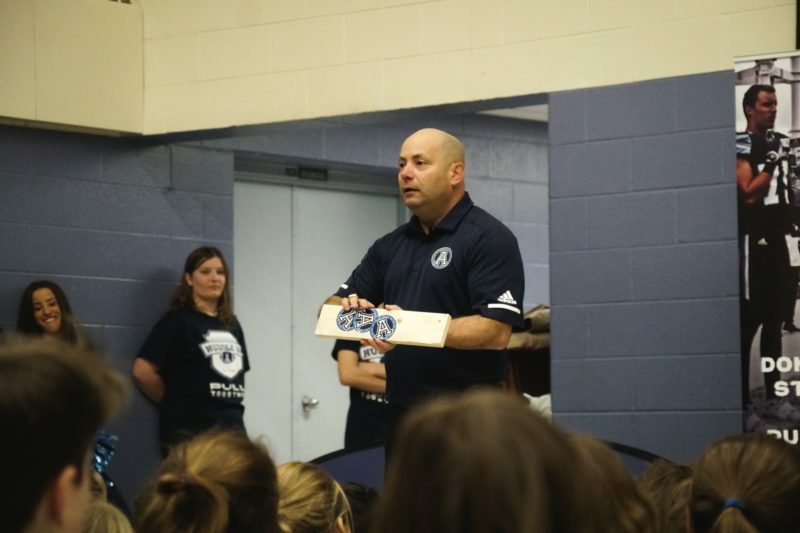 The campaign is the brainchild of Jason Colero, the Argos Director of Education and Community Programs. The program has evolved in the nearly two decades of its existence. Obviously, the players involved have changed, with one notable exception that will be addressed later. Technology has forced Huddle Up to keep up. Colero started the program to spread the word that bullying is a problem. His size made him a target and he was bullied in high school to the point where mentally he went to some very dark places. 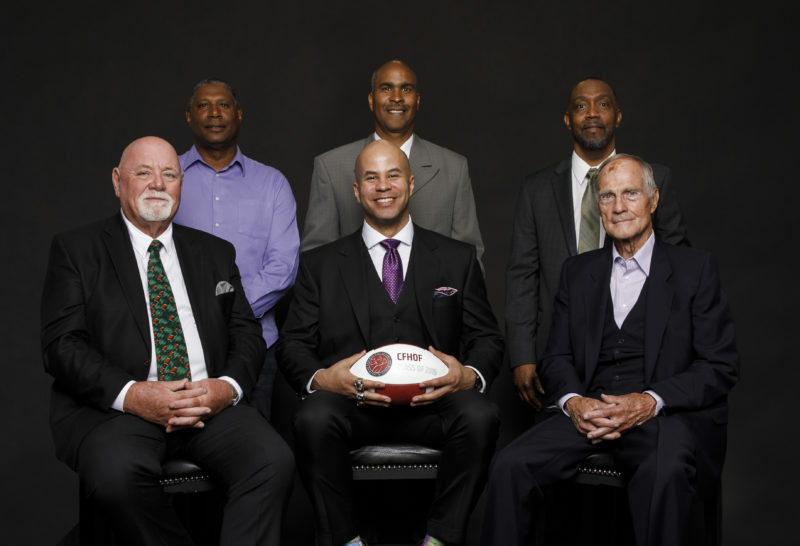 His hard work has been recognized by the league, as in 2016 he was named the recipient of the CFL Commissioner’s Award in acknowledgment of his contributions. Individual accolades are not why he does it though. Over the years he’s received many letters and emails from kids who have said the program “saved them”, others from parents and coaches who have seen kids be pro-active in preventing bullying on a team or in the schoolyard. That’s his payoff. Pat Tari is the Principal at St. Pius X and admitted he also had personal experiences with bullying while growing up. He thought the message delivered to his students through the demonstration hit the target. Tari’s students prepared for the visit by having several classes and projects dealing with the subject. A series of skits showing examples of bullying was presented to the assembly before the Argos started speaking. The program has been an instrumental part of what the Argos do. Current Argos Matt Black, James Wilder Jr. and Tyler Holmes made the trek, as did two cheerleaders. Black, who as the father of a six-year old daughter really related to the younger kids, acted as the spokesperson for the players. He shared his story of being bullied because of his size and that he suffered from dyslexia. But it was the Pied Piper of positivity that really got the audience participation going with his unique brand of storytelling. Michael ‘Pinball’ Clemons has been a part of the program since day one. He spoke about his experiences of being bullied, but then focused on the positive, with his message aimed to the smaller kids, and benefiting from the help of Wilder and Holmes. 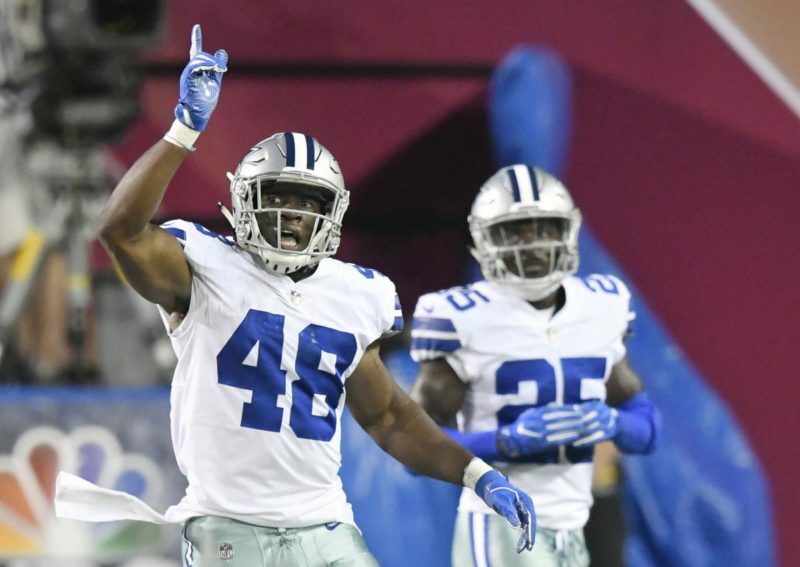 Clemons, perhaps 5’6” on skates, stood between the 6’4” offensive lineman and the 6’2” running back and said, “These two were supposed to play football, I wasn’t.” He didn’t tell the kids that size doesn’t restrict you from dreaming big, he didn’t have to. 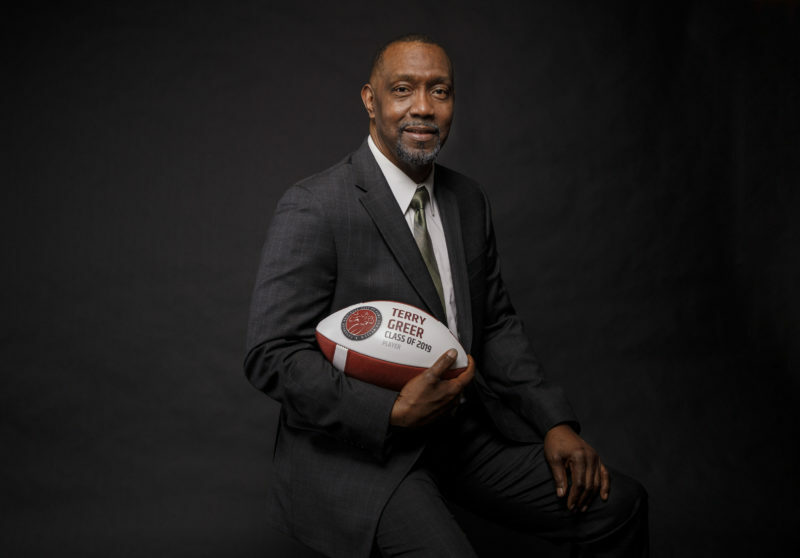 The four-time Grey Cup champion and Hall-of-Fame running back loves the fact that this program has grown the way it has. He then focused on why Huddle Up means so much to him. Perhaps that, more than anything else, shows you how long this program has been going. A new generation of students is hearing a message that sadly, still needs to be preached. That’s forced the program to get bigger and better. The kids and staff at St. Pius X are the latest people who can attest to that.